Cooney Lees Morgan has a strong association with Tauranga Art Gallery, supporting the gallery through sponsorship of their exhibitions. As lovers of the arts Cooney Lees Morgan Partners and staff have a real appreciation for the work Tauranga Art Gallery do in the local community and see the value of art to inspire and bring people together. One of Cooney Lees Morgan’s Senior Associates Rebecca Graham, is in fact a trustee on the TAG board. “Cooney Lees Morgan is proud to have been supporting the Gallery for many years now and it’s a real privilege to be behind such a fantastic exhibition,” said partner Paul Tustin, of Yvonne Todd’s 2016 “Fictitious Bodies” exhibition. Cooney Lees Morgan is the official Presentation Partner for Tauranga Art Gallery’s 10 Year Anniversary celebrations, showing now. “Ten years of Exceptional Art” celebrates a significant milestone for the gallery as part of a city and region which has experienced huge growth over the past decade. From small beginnings to the ground breaking success, the gallery has proven their commitment to providing the very best opportunity for people to experience wide-ranging art and the culture surrounding it, both broadening horizons and inspiring creativity in our community. Cooney Lees Morgan’s sponsorship directly assists in securing these opportunities and is a true reflection of the core values and investment in Tauranga and the wider region, they support.  In business for almost 100 years, Cooney Lees Morgan understands what it takes to ensure longevity and success in an ever changing environment and will continue to support this non-profit organisation in their work for many years to come. Read more about the Gallery's anniversary here.